"Fury has described Wilder as ‘probably the biggest puncher in history’ and while I don't know about that, I can say from personal experience he's the hardest hitter I've faced." This is the most excited I have been about a fight since Anthony Joshua v Wladimir Klitschko in 2017 and I believe it's the most important one since that Wembley showdown. I'm expecting something on a similar scale as well in LA on Saturday, with two undefeated fighters going head-to-head - it's guaranteed fireworks. Tyson Fury is the outsider here but he has a history of upsetting the applecart. *Nobody* goes to Germany and does what he did; grabbing all the belts from the lineal champion, it was an incredible achievement and something no-one predicted. I'm hearing all the same things now - in fact, I'm saying them myself! - that Fury doesn't have the firepower to deal with Deontay Wilder, but Tyson can find a way. But I am leaning pretty heavily towards Wilder, taking into account how the two of them have lived their lives over the past few years. While Fury has been battling drug abuse and alcohol binges, Wilder has been living healthy, fine tuning in the gym and generally keeping himself in peak condition. Are we going to see the best version of Fury? Ideally he would have faced better opposition that he did in his two comeback fights although we don't know what he's been doing behind closed doors - hopefully he's been sparring with guys who can emulate Wilder's style in some way. 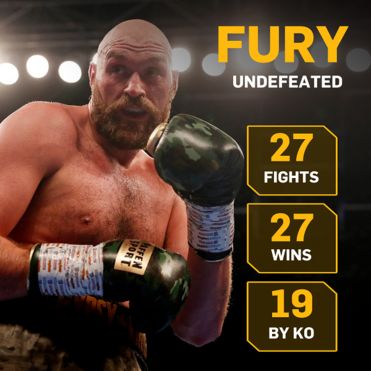 Fury will to be at his absolute best as Wilder is the real deal. I employed the American as my chief sparring partner on two occasions, first, when I was preparing to fight Klitschko in 2011 and again in 2013 ahead of the aborted Fury bout and I could tell within 30 seconds he was going to be a future champion. He's got the right mindset; he believes he is better than anything else on the planet. 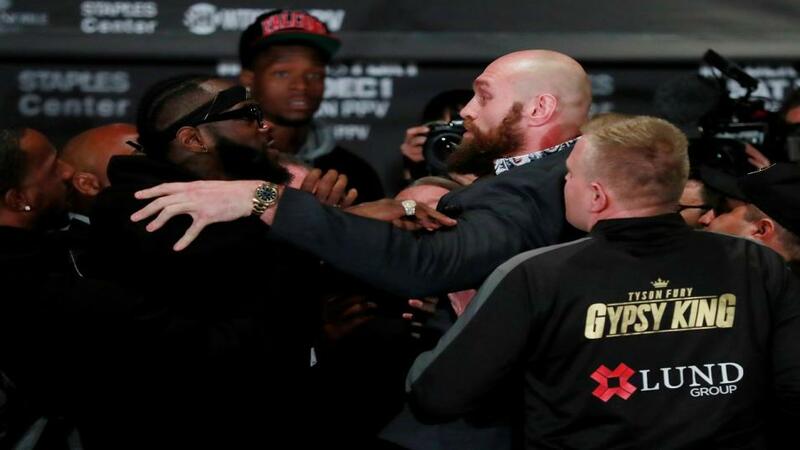 I've spoken in the past about what an awkward opponent Fury because of his range and style but let me tell you these two are both as awkward as each other. 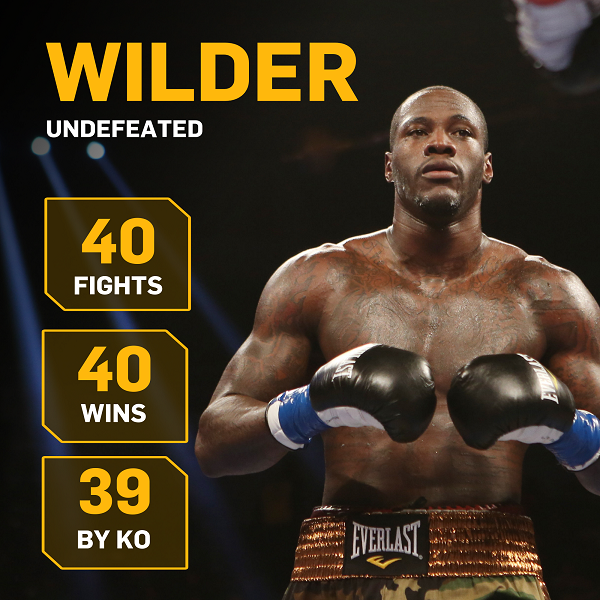 Wilder has the hand speed and huge punching power and Fury has the size - but can he convert that advantage? We've not really seen him put under the sort of pressure he will face on Saturday. Tyson bamboozled Klitschko in Germany; can he wear Wilder down in a similar fashion? I know he's talked about having something 'in his back pocket' but I expect Fury to do a Fury; keep the opponent at arms' length. How many times have we seen him attack an opponent? Even in the comeback fights against weak opponents he was moving around, pinned up against the ropes - he doesn't hold the centre of the ring at any point really. Fury has described Wilder as 'probably the biggest puncher in history' and while I don't know about that, I can say from personal experience he's the hardest hitter I've faced. He has proven knockout power as we saw in the victories over the previously unbeaten Luis Ortiz and Bermane Stiverne, who was known to have a good chin. My bet would be Wilder by stoppage (currently trading at around [2.2] on the Exchange). Fury has never faced an athlete like him before, the American reminds me of an NBA player, in the way he can just keep going. Fury comes from a fighting family and we know he has plenty of heart - he got up off the floor against Steve Cunningham and he'll probably have to do it again here. Tyson will be aiming for a points win here but at no point will he be able to get excited even if plenty of rounds have passed - it only takes one Wilder punch to knock him out. But you never know. Maybe he doesn't need any more comeback fights - maybe Fury is Wilder's boogyman! I've been told this is a two-match deal so a rematch will be next up, not a fight with Anthony Joshua. He'll most likely take on the winner of Dillian Whyte v Dereck Chisora. Dereck - now part of the Hayemaker camp - has been working hard and the team are very happy with where he is. I'll be back nearer the time with a full preview of that one.